Apple has just released iPhoto for iOS in the App Store. 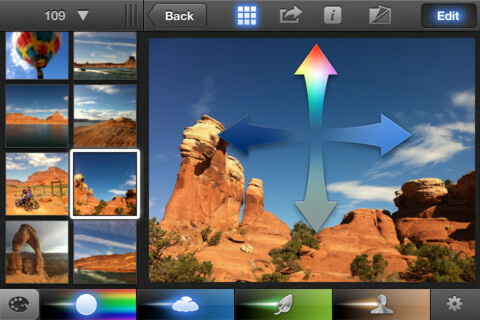 The new app is available for both the iPhone and iPad, and it will allow you to edit and manage your photos on the go. You can purchase iPhoto for iOS now in the iTunes App Store for $4.99. Unfortunately, the app is only available for iOS devices running iOS 5.1.